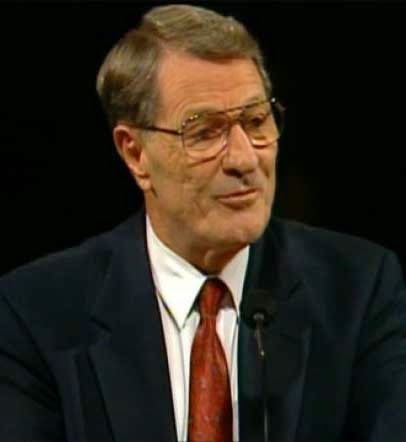 Elder Neal A. Maxwell (born July 6, 1926, died July 21, 2004 at age 78) served as a Seventy from 1976-1981, then as a member of the Quorum of Twelve until his death from cancer in 2004. 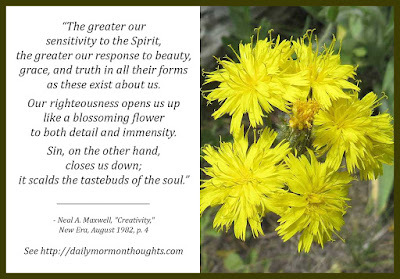 "The greater our sensitivity to the Spirit, the greater our response to beauty, grace, and truth in all their forms as these exist about us. Our righteousness opens us up like a blossoming flower to both detail and immensity. Sin, on the other hand, closes us down; it scalds the tastebuds of the soul. 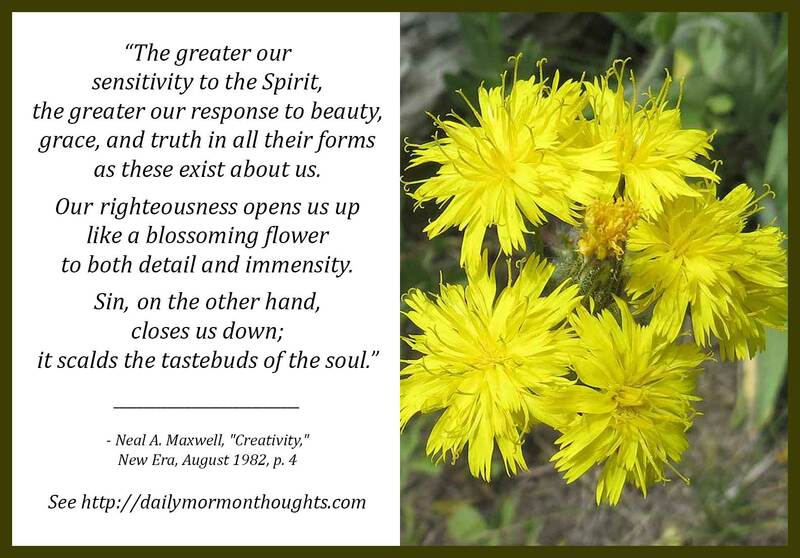 "After all, was it not the Creator of the worlds who called our attention to the beauty of the lilies of the field, to the power in the tiny mustard seed, and to the leaves on the fig tree? "Was it not that same Creator who also asked us, as we observe the heavens, planets, and stars moving in their orbits, to remember that when we have so observed, we have 'seen God moving in his majesty and power' (D&C 88:47)? "There is so much to see and so much to celebrate righteously. Indeed, appreciation for the world (and all in it) which God has given us is but a prelude to adoration of the God who has so gloriously displayed His creativity for us. Creativity permits us to see the wondrous order of things, their infinite beauty, their scope, but also their incredible detail. To use the words of Moses, we then see and feel things which we 'never had supposed' (Moses 1:10)!" This is a beautiful, encouraging thought. There is a link between our spiritual sensitivity, and our ability to fully appreciate the "beauty, grace, and truth" that exist around us in any form in the world. We grow in understanding and perception of both the minute details of divine creation, as well as the grand immensity of all around us. But to have the "tastebuds of the soul" scalded by sin is a terrible alternative. There truly is "so much to see and so much to celebrate righteously"! How blessed we are to be immersed in such glorious testimony of divinity. I have just stumbled on your blog and have loved reading the quotes. Thank you for taking your time to share these treasures from our leaders! !